With smart home applications becoming ever-more popular, and with households making heavy use of streaming multimedia services, the growing demand for reliable, high-capacity home networking technology shows no sign of slowing down. As a result, Wi-Fi, which has been the dominant player in the home network market for years, may be facing some competition. According to our home networking market data report, two wired home networking technologies – Multimedia over Coax Alliance (MoCA) 2.5 and G.hn – are gaining in popularity as consumers look for devices with higher throughput to handle all of the increased activity within their homes. Shipments of MoCA and G.hn devices will reach 8 million units by the end of 2019. Wi-Fi routers were first introduced in the early 2000s, and they soon replaced Ethernet cables as the dominant technology thanks to their ability to connect multiple devices without the need to run wires or puncture walls. 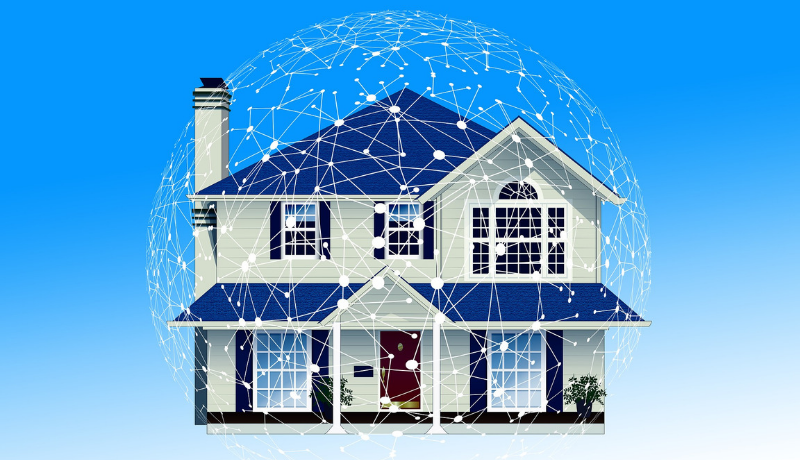 Since that time, newer Wi-Fi standards and devices – such as Wi-Fi mesh systems – have been introduced, improving the coverage and throughput of home networks. However, wired connectivity can provide superior stability and throughput, especially while using bandwidth-intensive applications. The G.hn standard can support home networking data rates up to 2 Gbps over coaxial, power lines, optical fiber or telephone wiring while the MoCA 2.5 standard can support up to 2.5 Gbps speed over coaxial cables. What’s The Impact On ISPs? There is growing interest from service providers in both technologies to deploy as an efficient backbone for residential Wi-Fi networks. Chunghwa Telecom, a Taiwanese service provider, recently announced the launch of Gh.n adapters to its FTTx subscribers. Operators including China Telecom, China Unicom, and UK Liberty Global have also joined the HomeGrid Forum in support of G.hn technology. MoCA home networking adoption is mainly concentrated in North America. However, the Multimedia over Coax Alliance continues to eye growth in Europe and the Asia Pacific, particularly since 2017 with the introduction of MoCA Access 2.5 which added broadband access specifications based on MoCA 2.5. Companies around the globe, including InCoax (Sweden), Teamly Digital (France), and ZTE have all recentlyannounced MoCA Access 2.5 solutions. Wi-Fi is certainly the preferred home network connectivity, however, there is significant market potential for wired networking devices supporting high capacity or to complement Wi-Fi installations. The increasing use of live video streaming, gaming, and VR applications is likely to boost demand for 100% reliable coverage of home networks. Service providers can take advantage of advanced home networking devices and integrate with Wi-Fi offerings to optimize customer experience. ABI Research forecasts that overall shipments for advanced home networking node devices will reach 39 million units in 2023. Take a deep dive into the home networking landscape with our market data report, which features robust data, market share analysis, and highly segmented, service-specific forecasts to provide you with detailed insight into the opportunities that exist in the market.